Is there a known medication that can improve blood flow to the feet and thereby reduce the numbness encountered? I apologize for the late reply do to recent changes we are making to our website. Now, regarding your question. It is true that diabetes alters the blood flow in the feet contributing to foot and leg problems. In addition, diabetes can also damage the nerves (especially those long of the periphery) aggravating the numbness sensation. You are asking if there exist any medication for such problems? Now, the only true answer is "The healing secret is to improve blood sugar metabolism". In other words, you should try hard to bring your blood glucose levels at a steady - near - normal level. Once you succeed to do so, other problems will be reversed too. So, blood flow would be ameliorated, and many problems will disappear gradually. As you may see, the only problems is to control blood sugar. I have been telling to some of my diabetic patients to trying hard to reduce their blood sugar. I have been repeating to them that they are not invalids. They have a health condition which is altered, and they can succeed to beat it. The worst enemy is sedentary life and waiting for the drugs to do the miracle. I have been telling them that drugs cannot do such miracles. There is a lot of words spreading around regarding the "miracles" some medications can do to your feet. 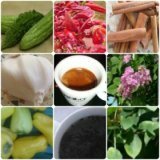 The one that I trust is the power of herbs in optimizing your blood sugar, ameliorating the blood flow and helping to reverse diabetic foot problems. When diabetic have ulcers or other skin problems, some doctors use to inject insulin locally together with use of additional sugar (or honey) to increase the healing speed. However, it depends on the problems you might have locally to give the most appropriate treatment. Your doctor is the only one who can give the final judgement for your current situation. Any Relief for Foot Pain? Treatment for Diabetic Food Ulcers! How to Treat Foot Swelling in Diabetes? Can You Reverse Diabetes Foot Numbness? What is the Best Treatment for Foot Sore in Diabetics? What are the Causes for Swollen Feet in Diabetes? How to Take properly Care for a Diabetic Foot? Comments for Any Medication to Improve Diabetic Feet Blood Flow? Please understand that I am not a doctor of medicine nor an expert on type 2 diabetes, nor an authority on anything. I am just a plain type 2 diabetic. My only solution to avoiding complications caused by type 2 diabetes is daily exercise, 2 hours total every day. I exercise immediately before each of my 3 daily meals and before bed. I eat only 3x/day. I eat as long as I exercise every day. What do I eat? Only heart-healthy, natural, fresh (raw and cooked), unprocessed, and whole foods which are mostly carbohydrates. Why carbohydrates? you may ask. Because I love them and they are the easiest foods to digest. Surely, they cause high fasting and 2-hour after-meal sugar readings but because of the daily exercise I use as my only anti-diabetes med, my A1c's have been between 5.2% and 6.3%. I have no diabetes complications yet. I was diagnosed based on a fasting blood sugar reading of 468 mg/dl in July 1991. Am I encouraging you to follow my way of treating my disease? No. What I encourage you to do is find out for yourself based on everything you hear from doctors of medicine, type 2 diabetics, and experts on diabetes what will keep you healthy and happy and have a long and productive life. Thank you for being sincere and share with us your experience and for actively following our website. I wanted to add that there is a lot of information available and everyone can reach the info he/she wants to. However, as you said before, none can substitute a personal doctor's advice, which is based on one's specific medical data. We are trying to help and support those diabetics who want to fight against their condition naturally, which is the safest mode, without misjudging the drugs' work. Medical doctors are always the best people who cure and treat diseases. They have the needed education and special talent to know what ails people. Everything that I have been doing to effectively control my type 2 diabetes came from Dr. Adelto Adan, a Cuban cardiologist in the Mid-Michigan Medical Center. I listened to everything he told me when he diagnosed me in July 1991. As often as I find time, I visit him at his office. At age 83, he still works as a consultant in our town's hospital. I am very proud and very happy to report that he plans to work forever, which to me means that I have a shining star who will always be there for my guidance.